The Joint Direct Attack Munition (JDAM) GBU-31 is a tailkit under development to meet both USAF and Navy needs, with the Air Force as the lead service. The program will produce a weapon with high accuracy, all-weather, autonomous, conventional bombing capability. 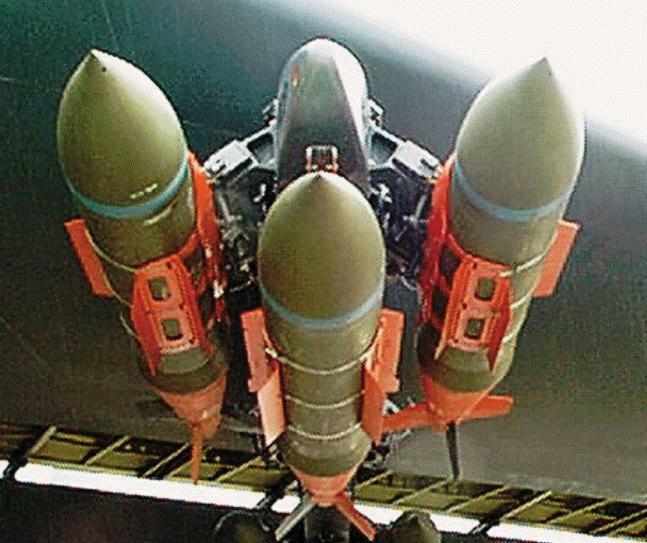 JDAM will upgrade the existing inventory of general purpose and penetrator unitary bombs, and a product improvement may add a terminal seeker to improve accuracy. 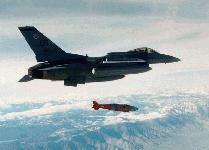 JDAM can be launched from approximately 15 miles from the target and each is independently targeted. 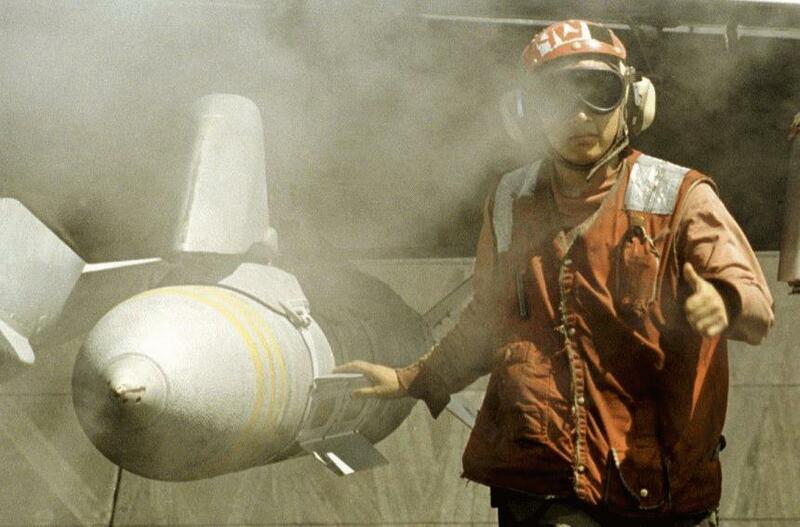 JDAM is not intended to replace any existing weapon system; rather, it is to provide accurate delivery of general purpose bombs in adverse weather conditions. 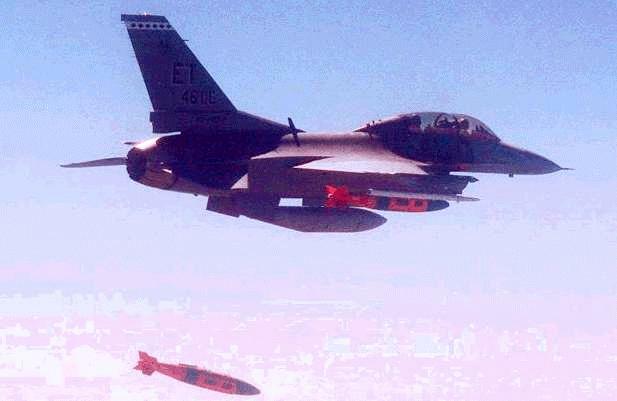 The JDAM will upgrade the existing inventory of Mk-83 1,000- and Mk-84 2,000-pound general purpose unitary bombs and the 2,000-pound hard target penetrator bomb by integrating a guidance kit consisting of an inertial navigation system/global positioning system guidance kit. 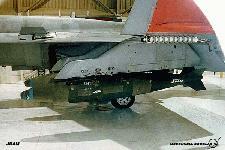 The 1,000-pound variant of JDAM is designated the GBU-32, and the 2,000-pound version of the JDAM is designated the GBU-31. 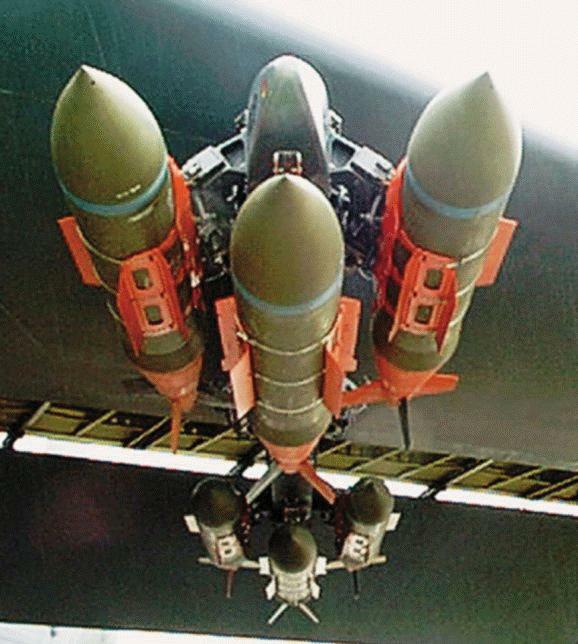 JDAM variants for the Mk-80 250-pound and Mk-81 500-pound bombs are designated GBU-29 and GBU-30, respectively. 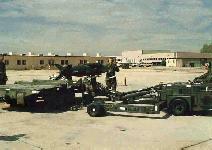 Hard Target penetrators being changed into low-cost JDAMs included the 2,000 pound BLU-109 and 1,000 pound BLU-110. The weapon system allows launch from very low to very high altitude and can be launched in a dive, toss, loft or in straight and level flight with an on-axis or off-axis delivery. 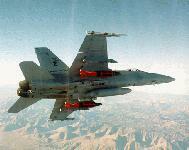 JDAM also allows multiple target engagements on a single pass delivery. JDAM provides the user with a variety of targeting schemes, such as preplanned and inflight captive carriage retargeting. JDAM is being developed by Lockheed Martin and Boeing [McDonald Douglas]. 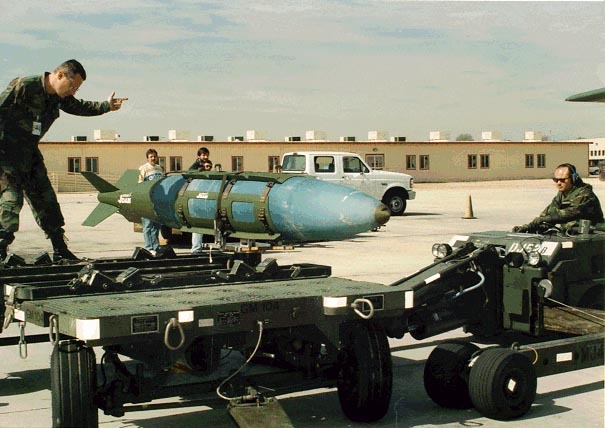 In October 1995, the Air Force awarded a contract for EMD and for the first 4,635 JDAM kits at an average unit cost of $18,000, less than half the original $40,000 estimate. 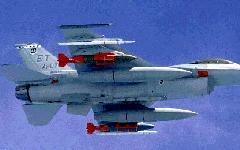 As a result of JDAM's pilot program status, low-rate initial production was accelerated nine months, to the latter half of FY 1997. 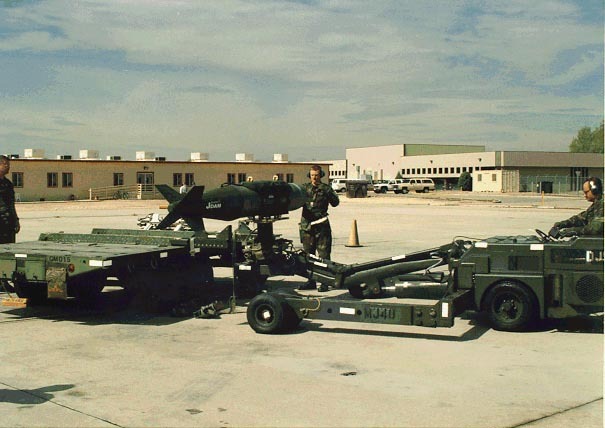 On April 30, 1997, the Air Force announced the decision to initiate low-rate initial production (LRIP) of JDAM, with the first production lot of 937 JDAM kits. The JDAM Integrated Product Team achieved a phenomenal 53 guided JDAM weapon releases in the six months prior to the LRIP decision. 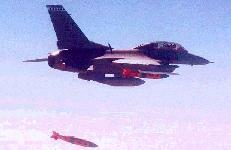 JDAM demonstrated high reliability and outstanding accuracy. 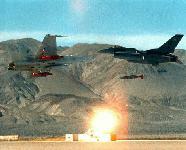 Twenty-two of the weapon releases were accomplished during an early Air Force operational assessment. Over a four-week period operational crews put JDAM through an operationally representative evaluation, including targets shrouded by clouds and obscured by snow. All 22 weapons successfully performed up to their operational requirements including overall accuracy of 10.3 meters, significantly better than the 13 meter requirement. Early operational capability JDAMs have been delivered to Whiteman Air Force Base, Mo., and low-rate, initial production JDAM deliveries begin on 02 May 1998. McDonnell Douglas Corporation of Berkeley, MO, was awarded on 02 April 1999, a $50,521,788 face value increase to a firm-fixed-price contract to provide for low rate initial production of 2,527 Joint Direct Attack Munition kits. The work is expected to be completed by January 2001. On 28 April 2000 McDonnell Douglas Corp., Berkeley, Mo., was awarded a $5,648,796 modification to a firm-fixed-price contract to provide for incorporation of Pin-Lock Tail Actuator System technology into the production effort for 8,163 Joint Direct Attack Munition kits. The Pin-Lock Tail Actuator System provides a more durable and accurate method of maneuvering the tail fins of the JDAM than the existing Friction Brake technology. Expected contract completion date was 31 March 2001. 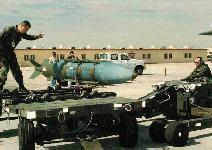 The JDAM program is nearing the end of its development phase. More than 250 flight tests involved five Air Force and Navy aircraft. JDAM will be carried on virtually all Air Force fighters and bombers, including the B-1, B-2, B-52, F-15E, F-16, F-22, F-117, and F/A-18. 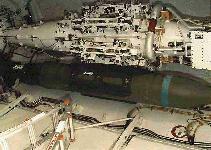 JDAM was certified as operational capable on the B-2 in July 1997. 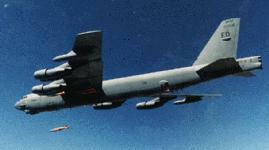 Limited Initial Operational Capability was achieved on the B-52 in December 1998. The B-1B Lancer conventional mission upgrade program is configuring the B-1B to carry out its role as the primary Air Force long-range heavy bomber for conventional warfare. 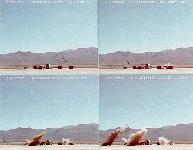 The 11 Feb 1998 drop from a B-1B was the 122nd guided JDAM launch. 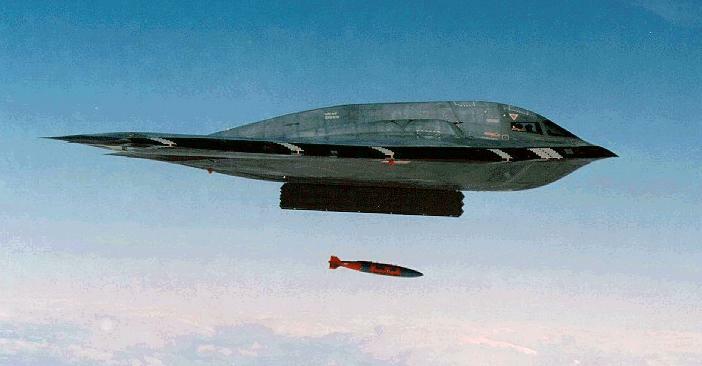 The depot at Oklahoma City Air Logistics Center will install the modification kits in the initial block of bombers by January 1999, giving Air Combat Command seven JDAM-capable B-1B bombers 18 months ahead of the initial program schedule. 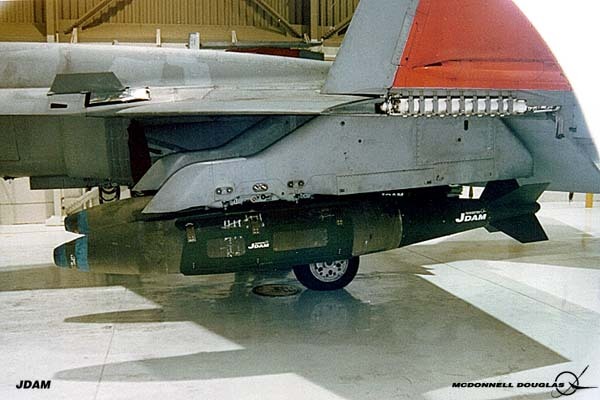 The JDAM product improvement program may add a terminal seeker for precision guidance and other system improvements to existing JDAMs to provide the Air Force with 3-meter precision and improved anti-jamming capability. The Air Force is evaluating several alternatives and estimates that the seeker could be available for operations by 2004. The seeker kit could be used by both the 2,000-pound blast fragmentation and penetrator JDAMs. 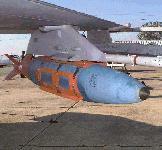 The Advanced Unitary Penetrator (AUP), a candidate to be integrated with a GBU-31 guidance kit, is a 2000 lb. 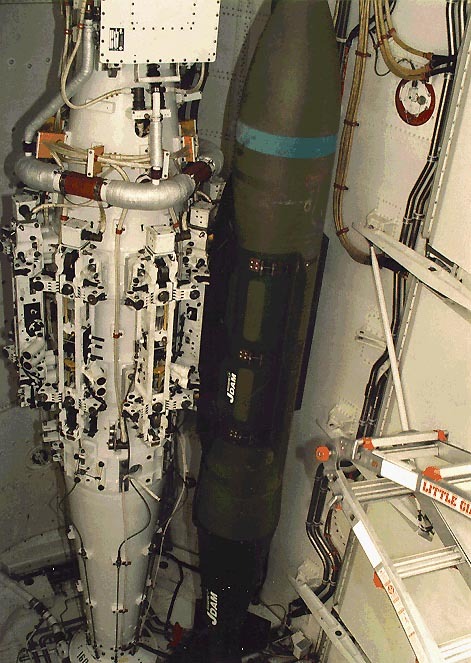 class penetrator warhead intended as an upgrade/replacement for the BLU-109 warhead in applications requiring increased penetration. 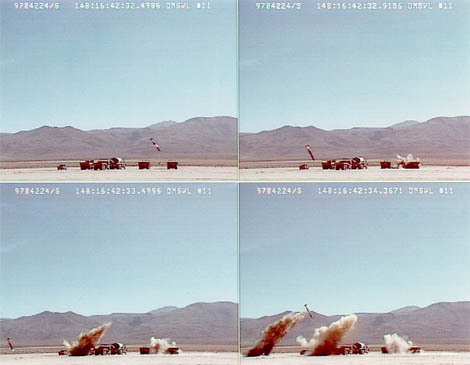 The AUP is designed to provide increased penetration capability over the BLU-109 warhead while maintaining the same overall weight, mass properties, dimensions, and physical interfaces associated with the BLU-109 warhead. 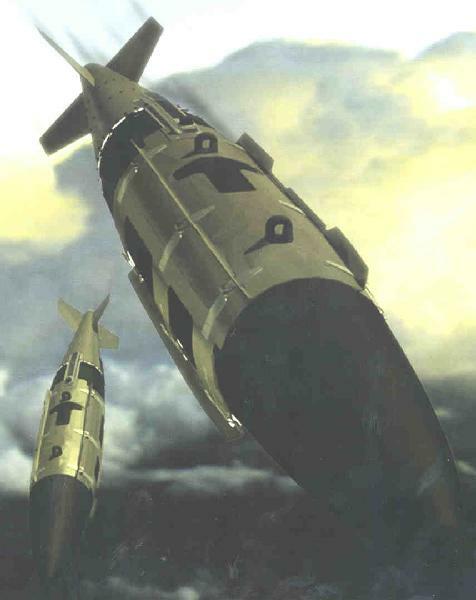 This concept integrates the AUP warhead with the GBU-31, the JDAM tail kit for 2,000 lb class warheads. This concept uses the Hard Target Smart Fuze (HTSF), an accelerometer based electronic fuze which allows control of the detonation point by layer counting, distance or time. The accelerometer senses G loads on the bomb due to deceleration as it penetrates through to the target. The fuze can distinguish between earth, concrete, rock and air. The boosted penetrator concept is based on achieving maximum penetration without sacrificing operational flexibility. Total system weight will be less than 2,250 pounds so that it can be carried by all AF tactical aircraft and bombers as well as the Navy's F/A-18. The goal is to achieve greater penetration than the GBU-28 with a near term, affordable design. 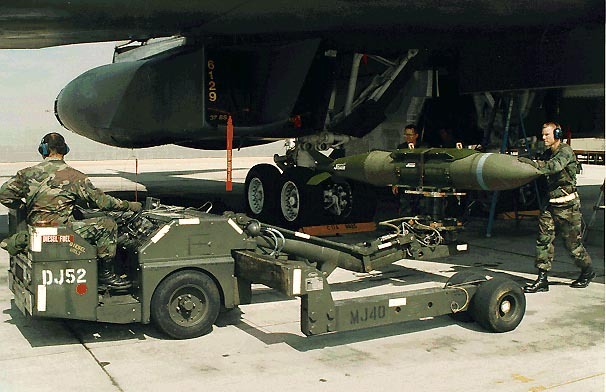 A dense metal warhead will be used with a wraparound rocket motor to allow internal carriage in the F-117. Advanced explosives will be used to compensate for the reduced charge weight. This concept integrates the boosted penetrator warhead with a JDAM guidance kit with an adverse weather Synthetic Aperture Radar (SAR). The Ballasted Penetrator in GBU-32 concept is a 1000 pound dense or ballasted penetrator integrated with a GBU-32 guidance kit using compressed carriage for internal carriage in advanced fighters (F-22, JSF) or carriage in cruise missiles (JASSM, CALCM, ACM, ATACMS, Tomahawk.) 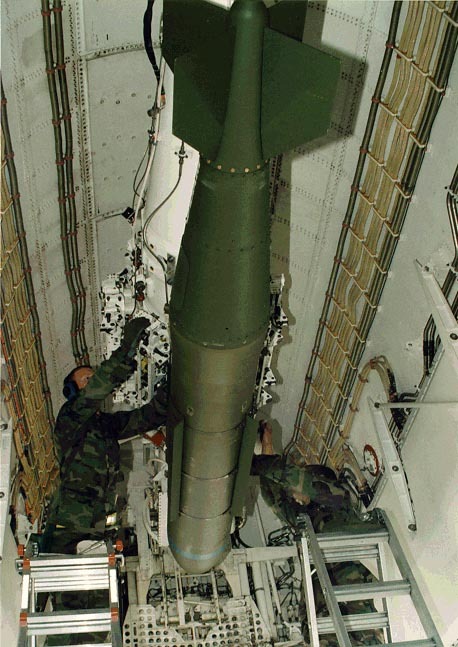 The warhead would either be designed with a dense metal case or contain dense metal ballast for maximum penetration. The warhead will be filled with an advanced insensitive explosive to compensate for the reduced charge weight. 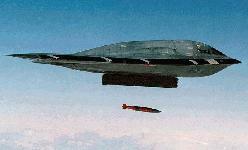 The warhead will be integrated with the GBU-32, the JDAM tail kit for 1,000 lb class warheads. The Boosted Unitary Penetrator concept is based on achieving maximum penetration in a weapon that will fit internally in the F-22. Total system weight will be less than 1300 pounds. 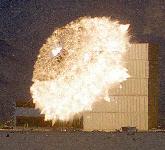 A dense metal warhead will be used with a wraparound rocket motor. Use of next generation compressed seekers and aero-control designs along with reaction jet control will allow the size to shrink sufficiently to fit inside F-22 and JSF. Advanced explosives will be used to compensate for the reduced charge weight. This concept integrates the boosted penetrator warhead with a JDAM guidance kit with an adverse weather Synthetic Aperture Radar (SAR). The JDAM/BLU-113 concept improves the GBU-28 by enhancing the nose design of the BLU-113 warhead for improved penetration. 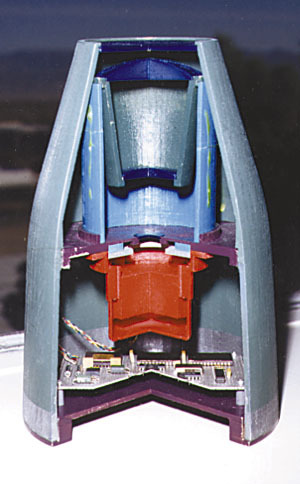 The warhead nose reshape will improve BLU-113 penetration by more than 25%. The penetration could potentially be further improved by replacing the traditional HE fill with a dense explosive. 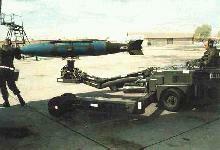 The design involves integrating the improved BLU-113 warhead with a JDAM tail kit. The Compressed Carriage GBU-32, J1K, enhanced fill concept is a JAST-1000 warhead with enhanced fill integrated with a GBU-32 guidance kit using compressed carriage for internal carriage in advanced fighters (F-22, JSF) or carriage in cruise missiles (JASSM, CALCM, ACM, ATACMS, Tomahawk.) The warhead is a combined penetrator and blast/fray warhead. The warhead shape is optimized for penetration and the enhanced fill and internal liner provide blast and controlled fragmentation capability. The warhead is shrouded to match the MK-83 mass properties and interfaces. The warhead will be integrated with the GBU-32, the JDAM tail kit for 1,000 lb class warheads. Use of aero-control designs along with reaction jet control will allow the size to shrink sufficiently to fit inside F-22 and JSF. This concept uses the Hard Target Smart Fuze (HTSF). The Direct Attack Munitions Affordable Seeker (DAMASK) Fleet Advanced Demonstration (FAD) accuracy enhancement kit is a seeker of the lowest possible cost that will improve JDAM accuracy to three-meter circular error probability (CEP). The three-year FAD began in FY 98 and continued through FY 00. DAMASK includes a very low-cost sensor mounted to the front of a JDAM and an off-the-shelf signal processor mounted in the existing JDAM tail kit. It uses an uncooled imaging-infrared focal plane array (UIIFPA) sensor and low-cost optics, both developed for the consumer automobile market. An off-the-shelf, commercially available signal processor is the final component of the accuracy upgrade kit, estimated to cost less than $12.7 thousand per seeker in quantity. 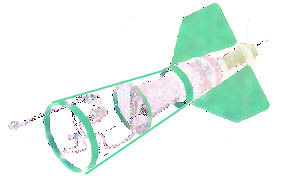 During the final stages of weapon flight, DAMASK's unique guidance system will image the target area, locate a mission-planned aimpoint and update the JDAM target location. The mission-planning image can come from satellite, uninhabited air vehicles or reconnaissance aircraft. A template is then automatically produced from the mission-planning image and loaded on board the aircraft with the baseline JDAM mission plan. Organic targeting is possible because the target area can be imaged with onboard synthetic aperture radar (SAR) or forward looking infrared (FLIR) sensors, and the pilot can then select the desired impact point using a heads-down display. B-1B Drops first GPS-guided JDAM by 1 st Lt. Kimberly E. Devereux ASC Public Affairs WPAFB Skywrighter (Mar 98) A B-1B Lancer flying out of Edwards AFB, Calif., on Feb. 11 dropped a JDAM at China Lake test range in the first demonstration of the bomber's capability to deploy satellite-guided JDAMs. 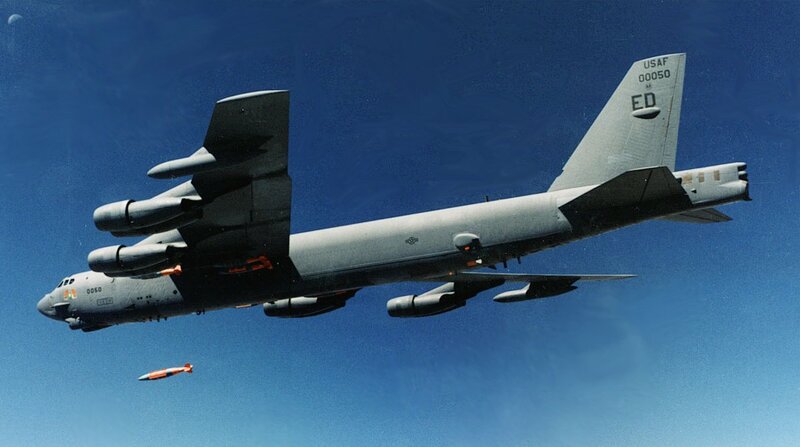 JDAMs dropped on China Lake ranges by EAFB The Rocketeer 3 September 1998 -- The B-52H bombers, staged out of Edwards Air Force Base, have been testing the Joint Direct Attack Munition (JDAM) as part of the aircraft/weapon integration process. 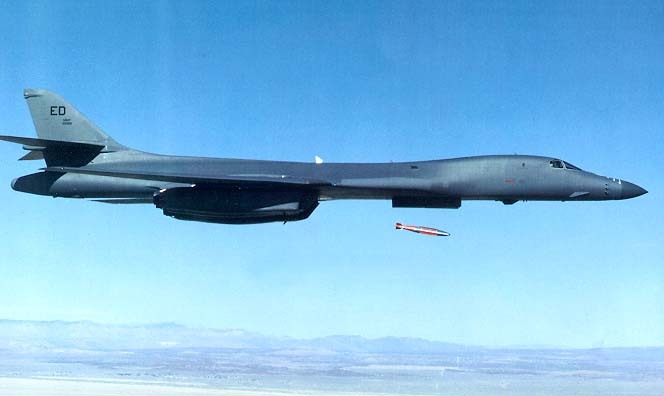 B-1B flies first JDAM test sortie (AFPN) 7 Dec 1998 -- The 77th Bomb Squadron's new Block D upgraded B-1B flew the first of seven test sorties Nov. 24. ONR takes quantum leap with DAMASK By Pam Harris The Weaponeer February 18, 1999 -- -The Navy and Air Force are partnering with industry to develop an accuracy-enhancement kit for the Joint Direct Attack Munition (JDAM) -- the Direct Attack Munitions Affordable Seeker (DAMASK). Lightning Bolts strike over Yugoslav skies 19 May 1999 Air Force Print News -- A JDAM is actually a guidance kit that converts existing unguided free-fall bombs into precision-guided "smart" munitions. It takes 30 minutes to convert each "dumb" bomb into a smart bomb. Ten technicians work for four hours to build a load of 16 JDAMs for an awaiting B-2. JDAM course ushers B-1 students into new era Air Warfare Center 21 Oct 1999 -- The aircraft is capable of holding 24 of these Global Positioning System-guided weapons -- more than any other aircraft in the world. The Bargain Basement Bomb By Patrick J. Sloyan Long Island Newsday November 14, 1999 -- John Pike of the Federation of American Scientists, sees JDAM as a last-minute addition to the 20th Century's pantheon to human destruction. "It's right up there with the machine gun and the atomic bomb," Pike said of the $4 billion program. 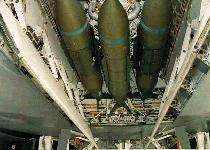 Proposed FMS to Israel - Joint Direct Attack Munitions MEMORANDUM FOR CORRESPONDENTS No. 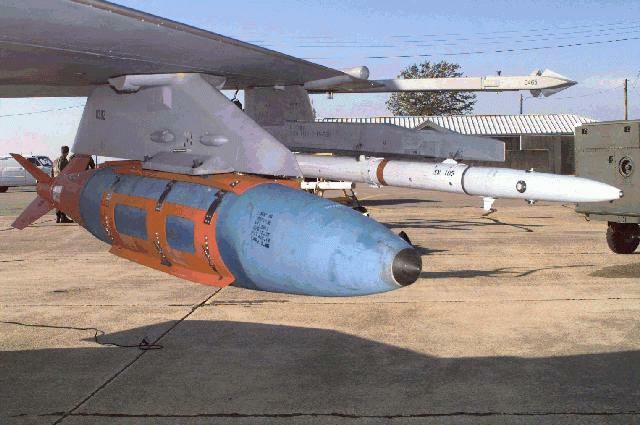 177-M November 17, 1999 --- The Government of Israel has requested a possible sale of 700 Joint Direct Attack Munitions (JDAM) tail kits and related elements of program support. The estimated cost is $45 million. DoD News Briefing Thursday, November 18, 1999 -- The United States military, in this case, felt that JDAM was the right system for its use, and clearly the Israelis feel the same way in this particular case. Other nations may feel that way and would approach the United States individually and there'd be discussions with those nations over time. JDAM Program Office named best in Air Force Air Armament Center Public Affairs 19 Nov 1999 -- The Joint Direct Attack Munitions Systems Program Office here won the 1999 Gen. Bernard A. Schriever Award as the best Program Executive Office program in the Air Force. Sale of U.S. Smart Bombs Causes Concern About the Cost of War Cable News Network 19 November 1999 -- JOHN PIKE, FED. OF AMERICAN SCIENTISTS: It's a precise weapon. It's inexpensive, it's highly effective, and it's basically the future of aerial warfare. Diamond back boosts munition's range, Air Force Print News, 21 September 2000 -- Air Force Research Laboratory Munitions Directorate officials, in conjunction with Alenia Marconi Systems and Boeing, conducted a modified Joint Direct Attack Munition cross-range flight test recently at White Sands Missile Range, N.M.
Boeing Receives $235 Million JDAM Contract, Boeing Press Release, 04 April 2001 -- The Boeing Company recently received a $235 million contract for the production of 11,054 Joint Direct Attack Munition (JDAM) kits. 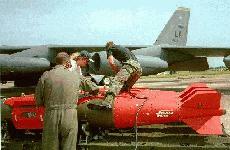 The U.S. Air Force Air Armament Center at Eglin Air Force Base, Fla., is the contracting agency. Joint direct attack munition gives aging B-52 bomber more clout, Airman Magazine, June 2001 -- JDAM, for joint direct attack munition, was born from a Desert Storm shortfall. 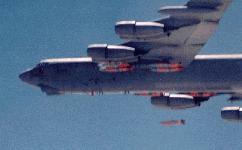 During the war, the Air Force found it needed a bomb to drop in any weather with near-precision. One that could hit within 30 feet of a target. Almost like laser-guided bombs, minus the high price tag.